I have had my eye on this staircase at the Chateau Sonoma the past couple of years. 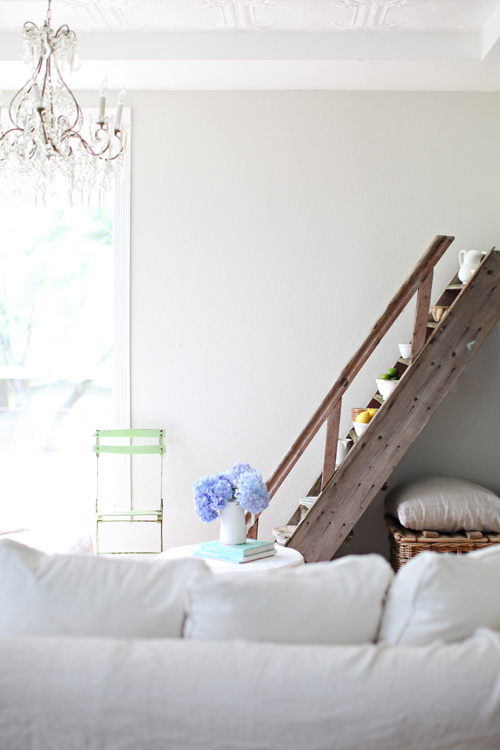 I had hoped to display the staircase the way it is shown at the flea market facing outward in my living room. 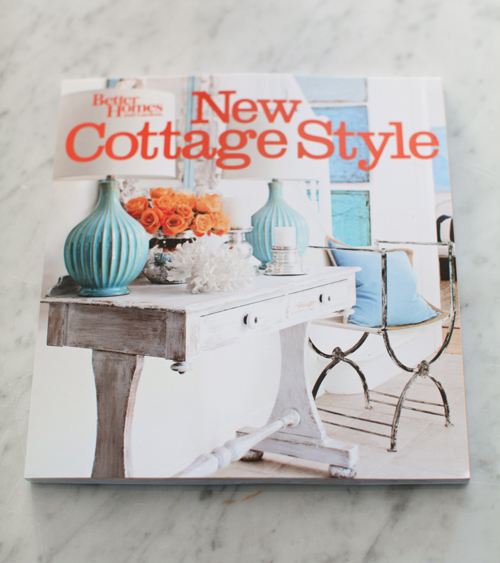 in a Better Homes and Garden New Cottage Style bookazine. 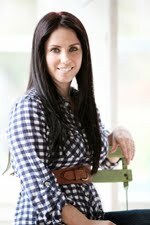 A special thank you to Sarah Alba who is responsible for getting our home published in the book, and also was the stylist for the shoot. Paul Dyer was the photographer, and I can't tell you how much I loved both of them....It was such a great experience and I learned so much! Paul was even kind enough to share photography tips with me as well. I had posted on my blog last spring. I learned so much just by watching Sarah work. I love how Sarah simplified my mantle by just adding a few sea glass bottles and three french apothecary jars with the Mirabelle labels from my shop. Thank you Sarah Alba, Paul Dyer, and Meridith Publishing! New Cottage Style can be purchased here on Amazon. I just wish my kids could stay little. p.s. I have been working on product pictures will finally have some new products listed in my shop soon! Your home is just beautiful. I just bought this magazine. Cute little guy. Yes, enjoy them as the time passes so quickly. I'm headed out to pick up the magazine! :) Your home is TRULY gorgeous... I love every single detail and appreciate you sharing it with your readers! So gorgeous Maria~ I LOVE the staircase and congratulations on the feature in the book!! 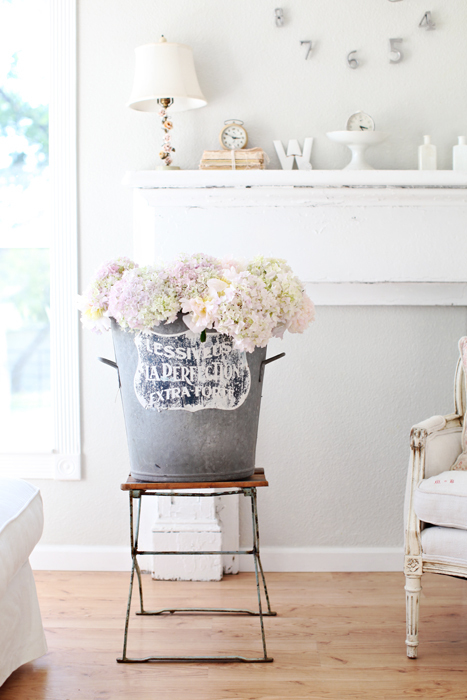 This staiase in a room is a great idea of decoration !!! This post has an all around good feeling kind of vibe. Made me happy to read it. Now I have found a new favorite blog! Wonderful pictures! Thank you! i wish you could coem decorate my home too! i absolutely love your style. Oh I know how you feel! I sometimes wish my kidlets could stay little too, but as you say I guess it's best to treasure every little moment while they still are :) Congratulations on your feature too, your home is amazing! everything looks beautiful as usual maria. can't wait to see the book. Amazing Maria! I just got off the phone with BH&G and so funny they mentioned this book was hot off the presses and there you are! What part of Northern Cali are you in? Would love to meet someday! oh can't wait for this edition to hit the stands! Congrats for being in the bookazine. your home is beautiful! That picture of your son and dog is just precious. Just remember someday they will grow up and then you can enjoy Grandchildren. I can't wait! Oh how exciting! 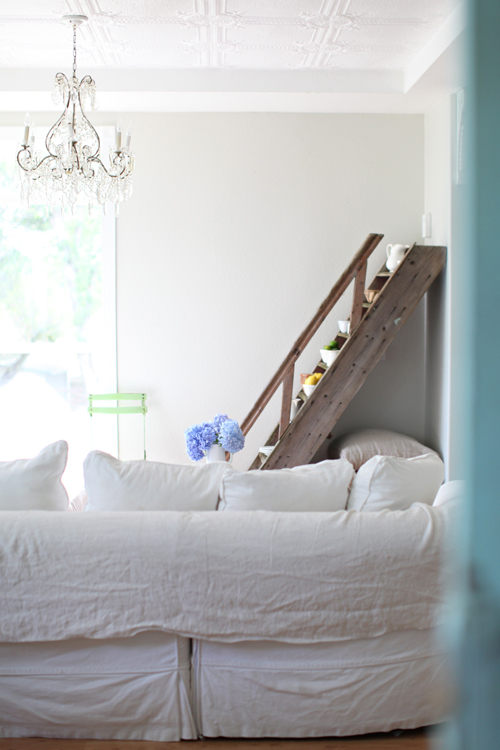 Love those cute stairs and your gorgeous headboard. Wow...just amazingly gorgeous, how exciting for you! Is that Adele or Lili? So adorable...I think I need one of my own! Congrats on the magazine. Your home is beautiful. Congratulations Maria on being in the new book! It will definitely be on my must have list. 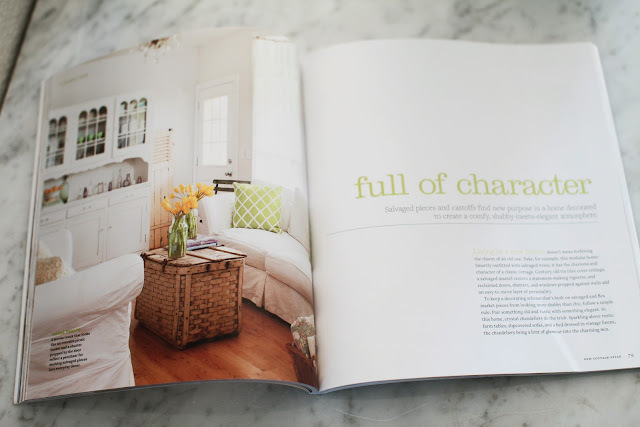 I really like the way Sarah styled your home for the book. It's so cute that your son is wearing his cowboy boots with his swimsuit, my little one wears his cowboy boots with everything! I can't wait to see your bedroom photos, I am always so inspired when I visit your blog! Your home is just gorgeous! and I love your blog. I don't know that I've ever commented before, but just wanted you to know how much I love it here! 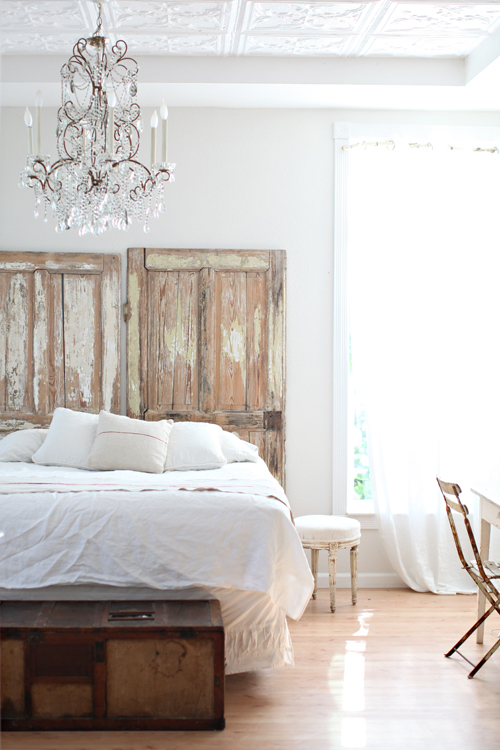 I love the old doors behind the bed what a great idea. I've been looking for a bed head and think this is perfect! I thoroughly enjoy your blog. thank you. Awww what a cute shot of your son and puppy! 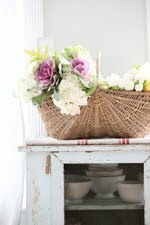 I have to say I love that photo of the mantle too~so pretty with the bottles and the bucket of flowers. Simply stunning, and that staircase in your living room is absolutely divine! Your home looks gorgeous in the book - and much to my husbands dismay, I can tell that it's going to be another Amazon, 'must have' to add to my ever growing collection of interiors books - I'm an absolute addict, and this one is a definite! Your son is SO cute - I too share those wistful thoughts about children, Summer and happy times being over too soon. I think that every Mom has moments when she wishes she could bottle up some of that childhood magic, and hold it close to her heart for ever! Congrats on the mag feature! That is so awesome and your house is so magazine worthy - I drool over your photos every time I come here! It's a dream of mine to have my home featured someday. It's not ready yet but maybe someday! that photo of your son is worth making HUGE on a canvas..it is precious! how delightful it continues to be to watch you become this decor rockstar! warmest congrats to you! your images are always beyond lovely and inspiring! Love the staircase! And congrats on the shoot! It's so good to pop in and see your beautiful home for the first time in a long time! I've had to scale back in my time on the computer....these kids are growing up way too fast to make it to all my favorites every day or every week. 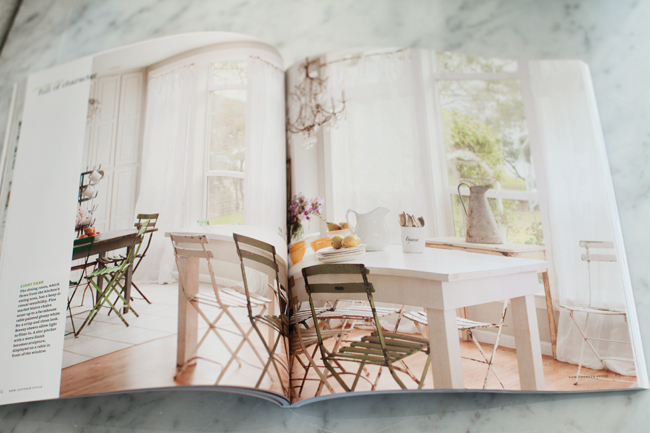 loved seeing your home in the book....its just beautiful! congratulations to you Maria. The photos look gorgeous. And I know that you are saying about the kids staying young. I feel that way often about mine as well. Have a great weekend! 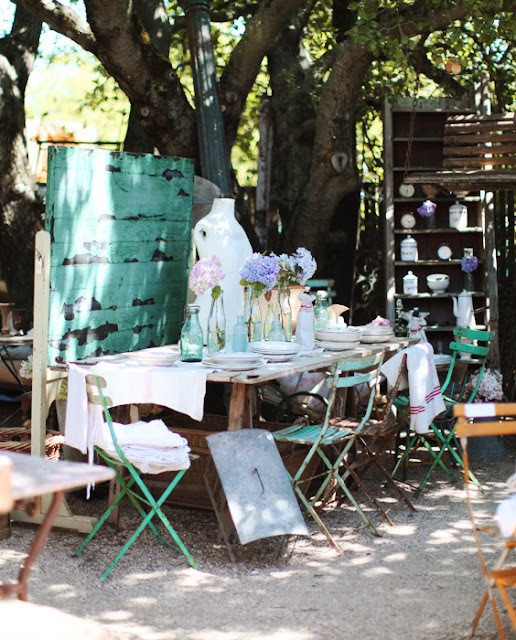 I feel instantly calm and relaxed everytime I stop by your beautiful blog. 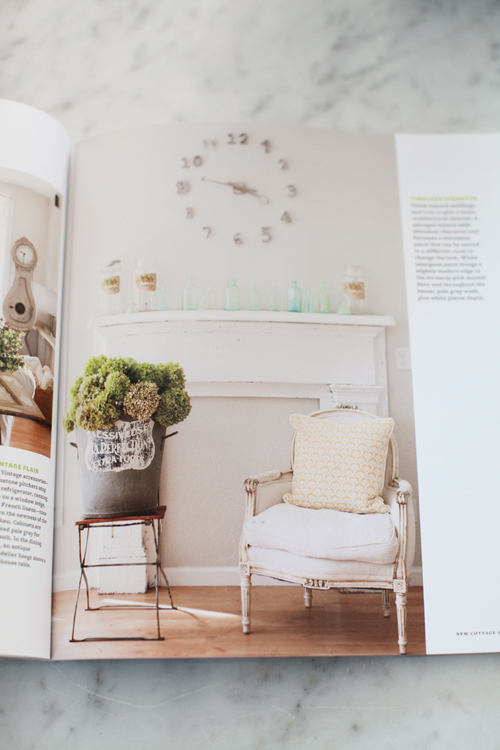 Love how your bedroom is coming together, and congrats on being in the gorgeous book! 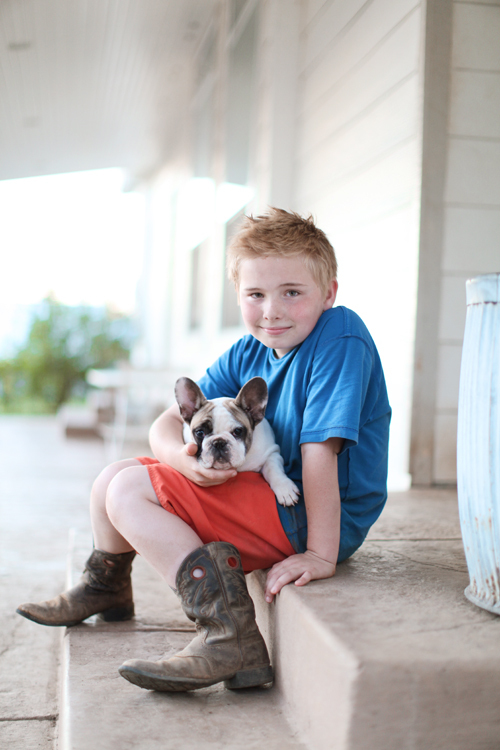 Love the pic of your son in cowboy boots and shorts! My kids grew up in the country (ca central coast) and looked just like that all summer long! Enjoy every minute...my babies are in their 30's! Gorgeous bedroom. Love your home. A friend's home in in the same publication. I must buy it! So many lovely and beautiful photos ! I am hosting a giveaway! Please stop by and comment entering it as often as 3 times. Your house is wonderful, Maria! Enjoy your moments with your kids while you can....they will be grown all too soon. Well deserved article! You have a beautiful home! Love you ideas and the amazing staircase! Lindas fotos. Parabéns pelo bom gosto. 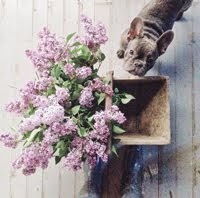 oh my good lord, that little frenchie is just to die for! my little english bulldog, wilma, would love to play with him/her! shes quite petit herself and is often mistaken for a frenchie or a pug *?? *.